Joy. It’s a word that gets thrown around a lot this time of year. 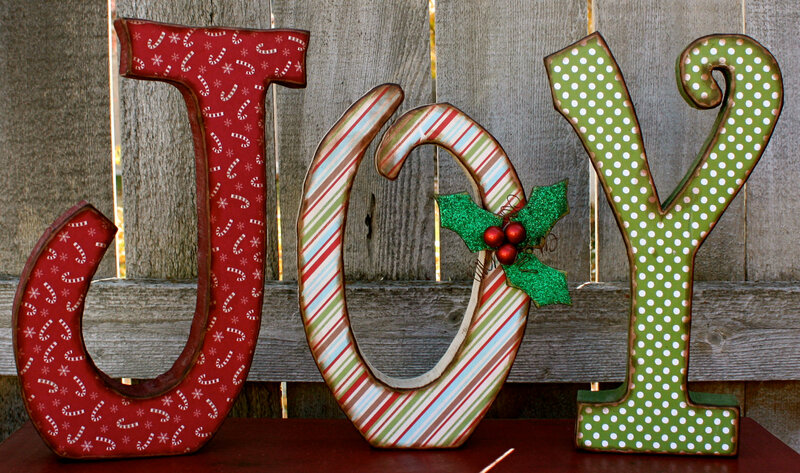 But what is joy? Is it a feeling? A state of being? An action? I thinks it’s all of the above. Joy is the light feeling you feel in your heart, head, stomach, and all of the limbs in your body. This feeling can occur while observing the natural beauty surrounding you or while playing with your dog. You can find it while doing something you enjoy, whether that’s gardening, cooking, golfing, or wood-working. But it’s also a mind-set. Being “in your joy” means being connected to the positive universal flow. It’s what happens when you open your heart and allow all of these positive experiences to flow through you. By concentrating on the good things and pushing the negative thought aside, you create more space for joy. So here’s the real gift of the season: it’s easier to find this joy during the holidays because we’re ALL encouraged, (and given permission,) to believe in magic, sentimentality, wonder, and love. It’s certainly a lot safer for us to express these feelings when we know we’re not alone or going to be judged. Take advantage of the wonderful gift the Universe is providing this time of year and practice finding your joy in everyday tasks and experiences. Look for it while you shop, stand in line at the post office, while you’re shoveling snow, listening to Christmas carols, or baking cookies. There are so many great opportunities this time of year – don’t miss them! Acknowledge the gift and take advantage of the collective consciousness that is encouraging you to feel joy. Dance! Sing out loud! Be silly! All of these actions are expressions of joy. Don’t forget to take a moment to savor the feeling as it moves through your mind and body. Then, be joyful! Not just this time of year, but do your best to find that feeling year-round. I think you’ll be amazed at how enjoyable your life can really be once you know what it feels like and it’s that much easier to tap into. This entry was posted in Personal Growth and tagged joy, The Universe.